Wallace State’s Robert Davis, the college’s senior professor of history, spoke recently to the Autauga and Montgomery genealogical societies in Prattville about research and records. HANCEVILLE – The family and local history research collection in the library of Wallace State Community College in Hanceville draws questions and researchers from far and near. It has received national recognition from the National Archives of the United States, the Church of Latter-Day Saints and the American Association for State and Local History for service to people seeking answers in the past and in television documentaries. Recently, for example, the collection helped on some special projects. A writer from New York worked here on his upcoming article for Harper's and book on Alabama's Dr. James Marion Sims, a pioneer in gynecology who experimented on slaves in the 1840s. Sims' worked helped his patients (all volunteers) and many women since, but raises ethical questions to this day. A group in Texas also contacted the collection about the centennial of the Nineteenth Amendment that gave all American women the right to vote. They asked about Cullman County resident Mary K. Munson, a leader in Alabama who passed away on Sept. 25, 1920, just after the amendment passed but just before she could have voted for the first time. The collection is also helping with Alabama's upcoming Bicentennial and with a historian researching Creek leader Menewa. Robert S. Davis, senior professor of history, largely built this collection. He cited the above examples at meetings of the Cullman Rotary Club and the Cullman Historical Society. 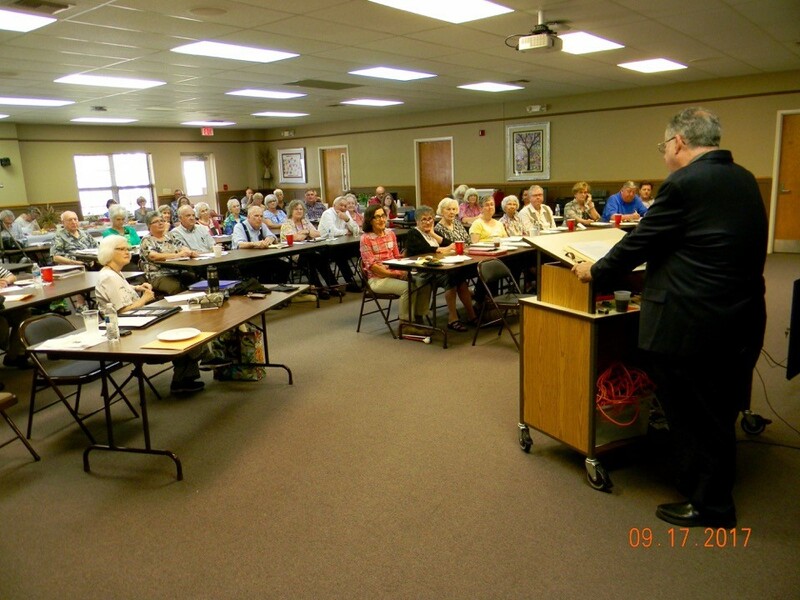 He also spoke at the Southern Studies Showcase in Edgefield, South Carolina, and to a joint meeting of the Autauga and Montgomery genealogical societies in Prattville, Alabama about research and records. Most of the visitors, Davis claims, are local people or at least from the southeastern United States. They seek information on their ancestors, Native American ethnicity, Civil War service and Alabama records. Visitors who come to research or to attend its classes in genealogy add to Hanceville's economy. The continuing education classes in genealogy include introduction to genealogy, computer genealogy, advanced genealogy/book publishing, Civil War research and southern family history. For information on attending these classes contact mandi.perkins@wallacestate.edu. The collection is open free to the public on Mondays through Saturdays. For more information on Wallace's family and local history research collection, contact Davis at reobert.davis@walacestate.edu.